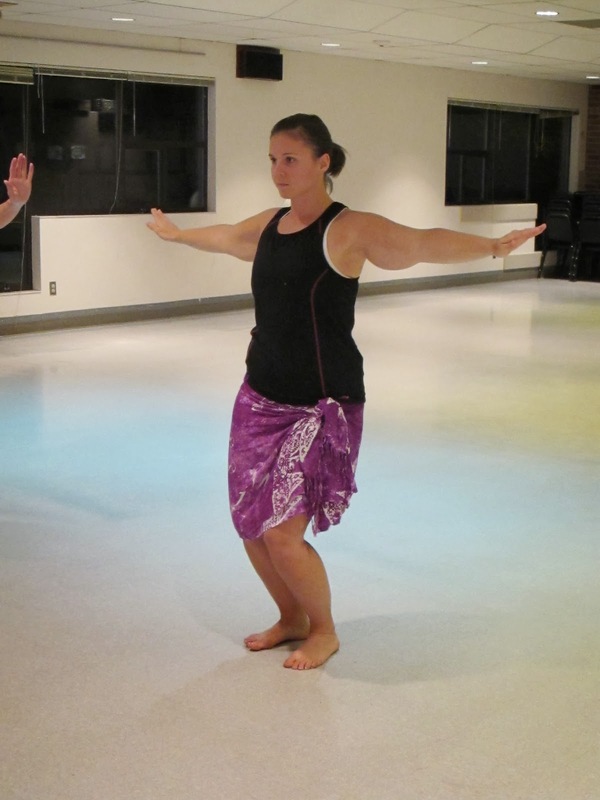 Shoreline Area News: HOT HULA Fitness® is HOT! HOT HULA Fitness® is HOT! After reading about the HOT HULA fitness® class in the Shoreline Area News, Megan Shaffer was looking forward to start of the class. It began on October 8th, and she was there! She was definitely not disappointed! The class is driven by the sounds of traditional Polynesian drum beats fused with other modern fun music. No dance experience is required; all fitness and age levels are welcome to come. This class works on the larger muscle groups, increasing strength and building your core: the abs, gluts, quads and arms. Join this energetic workout every Tuesday, 7:00-8:00PM at the Shoreline-Lake Forest Park Senior Center, 18560 1st Ave NE #1. Class fee is $8.00 for senior center members and $10.00 for non-members. For more HOT HULA fitness® information go to the website.